One of the sites I've set up with Joomla is a site for a Norwegian fraternal organization. They have well over a hundred local branches and a similar number of local editors. I've started giving a handful of them access to the Joomla front-end editing system, but have realized that the work flow in Joomla is far from perfect as it is now. For that reason, I was extremely happy to see that there's a work flow extension in the works - addressing exactly the needs I have with the site mentioned. 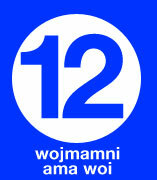 The Joomla Project is pleased to announce the immediate availability of Joomla 1.5.12 [Wojmamni Ama Woi]. This release contains a number of bug fixes and three moderate-level security fixes. It has been less than a month since Joomla 1.5.11 was released on June 3, 2008. Sometimes there are such a lot of stuff going on that I just can't report on everything. But that doesn't stop me from sharing it with you anyway, right? Here are 10 Joomla related and non-related (but good nonetheless) articles I read today. K2 is a great new GPL extension from JoomlaWorks. It's used for managing content that packs a lot more punch than the traditional Joomla content component can offer. It provides a flexible article format that allows you to add images, attachments, comments, and even custom fields to your content. RocketTheme obviously likes the K2 product a lot, as they have decided to implement support for this extension in their own extensions. The Joomla Project needs your help in testing our next release: Joomla 1.5.12 RC. This Joomla release has 22 bug fixes and two updates that are significant enough to justify community testing. The release candidate includes an upgrade to TinyMCE and changes to the framework PHPMailer class. The upcoming Version Control Backend system for Joomla is nearing completion, and now we're invited to test it out by the developer Victor Carbune. Joomla Resource Directory (JRD) launched!